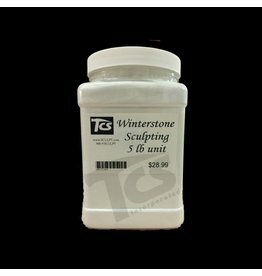 WINTERSTONE is a sculpting medium developed by Sculptor, Lorne P. Winters, for direct modeling of finished sculpture. It works as easily as clay and sets as hard as stone. 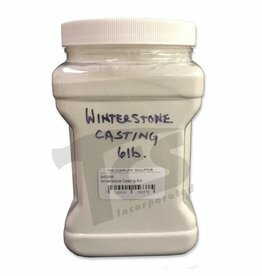 WINTERSTONE is a white, dry powder mix --- a complex multi-component cementitious mixture --- which when mixed with the necessary water produces a modeling medium of clay-like consistency. It stiffens and hardens gradually and continuously. During the initial plastic stage it can be modelled easily with control. As the material hardens the sculptor can proceed with carving techniques. By allowing the sculptor to employ modeling and/or carving techniques when working with WINTERSTONE, the full potential of the material can be developed. The inclusion of proper reinforcing elements into the material wherever stress is expected, produces a structurally efficient composite material that can be shaped into any complexity of form. WINTERSTONE can be integrally pigmented or externally patinated. The hardened WINTERSTONE surface can be refined with abrasives and polished. The finished WINTERSTONE sculpture is intrinsically weather-stable and may be founded in an outdoor environment. With proper care it can be expected to last many years. These features of WINTERSTONE -- the flexibility of sculpting techniques, adaptability to varied surface textures and finishes, structural versatility, permanence and stability -- make WINTERSTONE an ideal sculptural material. 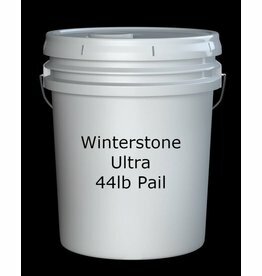 WINTERSTONE (Regular) is supplied as a one part dry mix. It has at least a one year shelf life provided it is kept in a sealed container in a dry place. 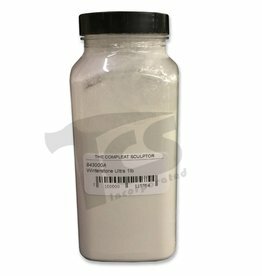 This range of mixing water allows the sculptor the choice of a stiff putty consistency at the lesser amount (suitable for finger work) to a softer or pastier consistency toward the greater amount (suitable for spatula/trowel tools). The water content should not exceed the upper limit of water recommended. It should be kept in mind that the strongest and most durable end product results from using as little mixing water as possible. Place the measured amounts of dry mix into a mixing container. Generally, a one quart (litre) plastic container is adequate and can be easily mixed by hand using a spatula. Larger sculptures requiring greater quantities of mix at any one time can be prepared using a 2 gallon pail and an electric mixing tool. Mix at least 1 minute, then let the mix rest for 1 minute, and then re-mix for at least another 1/2 minute. In any case, the batch of WINTERSTONE should not be greater than can be used within its working time of 40 to 50 minutes. Occasionally re-mixing/re-molding the mixture is helpful in maintaining a workable consistency. 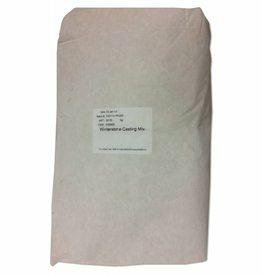 One pound of dry mix produces approximately 19 cu.in. of mixed product. 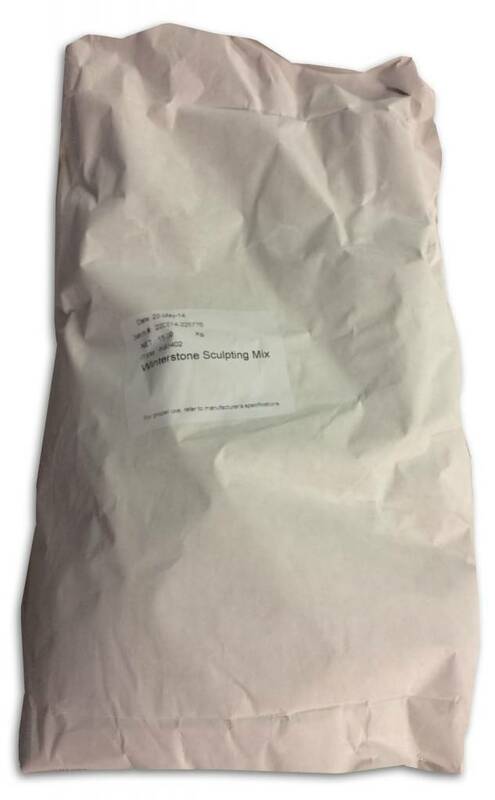 Immediately after mixing, the WINTERSTONE mixture may be applied to a prepared steel wire/mesh armature or styrofoam core armature using a spatula, trowel or by hand.Â If by hand, particularly for those who have sensitive skin, some pre-applied hand cream or use of latex gloves is recommended. 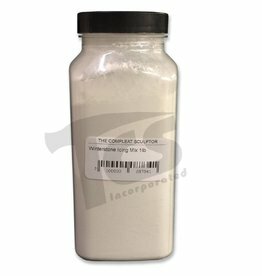 A workable consistency may be maintained by occasional re-mixing/re-molding the mixture in the mixing container -- AVOID using additional water. Open time of the mixture (reasonable workable consistency) will normally be 40 to 50 minutes depending on the amount of water in the mix and on the ambient working conditons. The build-up may be achieved by applying successive layers. 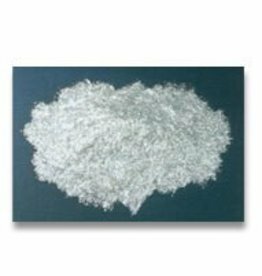 As the material is self-bonding it need not be applied wet-on-wetÂ but may be applied on an already hardened surface. It is recommended that the surface be roughened with a serrating tool and dampened with a light mist spray before applying a fresh mixture. Continue building up successive layers of WINTERSTONE using fibreglass or steel mesh where required. The outermost surface thickness should include at least one, and preferably two layers of mesh reinforcing particularly if the sculpture is to be founded outdoors in an area of extreme weather/temperature conditions. Take care to maintain at least 1/8" thickness of WINTERSTONE applied over the top layer of fibremesh. This will provide some thickness for sanding and polishing of the hardened product. It is essential that premature evaporation of water from the surface is avoided. During application and after initial set of the material, if the surface appears to be drying re-wet these areas with a fine water mist/spray. At the end of a working session cover the entire piece with a plastic sheet, and keep it covered for an additional 24 hours. WINTERSTONE stiffens and hardens gradually and continuously throughout the modeling process. Generally within a few hours of application, depending on the initial water content of the mixture, and the ambient working temperature WINTERSTONE stiffens or sets to the degree that soft carving techniques may be employed. At this stage soft carving tools and serrated tools or the like are more suitable than standard clay modeling tools. The material will reach its final set within 24 hours although it will continue gaining in strength and hardness over the next few weeks. It is preferable at this time to carve any fine details or to point or serrate surface texture if desired, as the material is hard enough to avoid tearing but not yet so hard that considerable effort or hard carving is required. Any patching required should be done as soon as possible, be it before or after the final set. The surface of the hardened WINTERSTONE may be patched with some WINTERSTONE which has been freshly mixed in a small batch to a creamy consistency. Roughen the area to be patched with a serrating tool and dampen the area to be patched before applying the mixture. After 2 to 3 days of air-drying give the piece a light water spray and inspect the surface closely. Ocassionally irregular lines may appear which although invisible to the naked eye when dry, become evident upon wetting and are due to the differential surface absorption along the lines. These lines are very fine shrinkage cracks which are generally the result of the use of excess mixing water and/or inadequate curing. A creamy mixture of the Regular Sculpting Medium should be rubbed well into these areas with a fine sponge and the excess rubbed off. After curing, follow-up with a very light fine sanding before applying any sealers. Hardened WINTERSTONE surfaces may be sanded or polished using abrasive grit papers or cloths. Many kinds of surface coatings can be applied to WINTERSTONE sculpture with excellent adhesion, including water, oil or solvent based materials. The sculpture must be thoroughly dried if coatings other than water-based materials are applied. In general, after polishing, breathable type coatings or sealers such as water-based acrylics are recommended. Such sealers are clear and colourless and can be had in matte or gloss. Breathable silicone and siloxane penetrating water repellent sealers may be used but once applied generally preclude the application of additional decorative coatings particularly water-based. WINTERSTONE can be integrally pigmented to brilliant or soft colours. 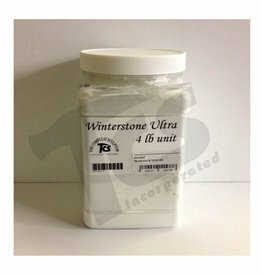 In general, pigments that are suitable for use in cement mortars such as iron oxides (reds, yellows, browns, blacks, terra cottas) can also be used in WINTERSTONE. All pigments added should be pure, dry powders and not liquid dispersions or mixtures with other fillers. 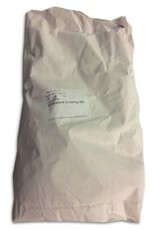 In general, do not use more than 5 parts of pigments per 100 parts of dry WINTERSTONE. To check whether a pigment is compatible, try it first in a small test batch of WINTERSTONE. If adding the pigment causes the WINTERSTONE to set either too quickly or too slowly, the pigment is not compatible and should not be used. The life span of a WINTERSTONE sculpture placed in an outdoor environment cannot be assigned accurately because WINTERSTONE as we know it is not old enough to provide us with examples of any age. Modern buildings and structures constructed of materials based on present day cement/concrete technology generally have a designed minimum life span of 100 years. It is safe to assume that WINTERSTONE sculpture utilizing similar but more complex and up-to-date technology/materials should last that long. Proper sealing and maintenance optimizes the sculptures outdoor performance. Extra care and caution should be taken throughout the whole sculpting process for any sculpture which is to be subjected to the climatic rigors of an outdoor environment. All aspects of the process are critical, particularly using minimal mixing water, careful application and consolidation during the build-up, proper embedment of reinforcing mesh, proper and adequate curing, and final surface finishing and sealing.